Journalists at a regional daily where colleagues are set to be made redundant have urged people on their patch to “fight” for them by buying their newspaper. 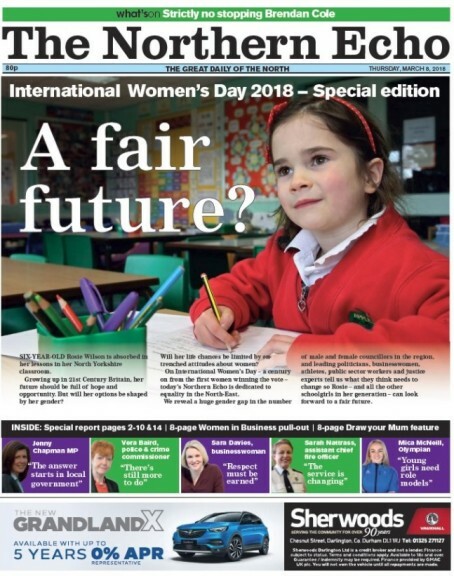 HTFP revealed on Tuesday how plans to restructure the district news reporting and features operations at the Northern Echo had left nine editorial roles at risk of redundancy, although two new posts will also be created. Owner Newsquest says the move will ensure the Echo has a “sustainable cost structure for the future”, and will also allow it to invest in frontline reporters. Now the colleagues of those affected by the plan have called on people living on the Darlington-based Echo’s patch to support the regional press “before this great industry is gone forever”. In a post on Facebook, Echo Tees Valley reporter Nick Gullon wrote: “Absolutely devastated that some of my talented, dedicated and hard working colleagues are facing redundancy – including some who have worked on many of the biggest stories in North-East journalism over recent years. “If you want local government and politicians held to account, if you want wrongdoings exposed in industry and public services, if you want your events, achievements and milestones covering, if you want in-depth coverage of the region’s major sport teams and grassroots clubs, and if you want to see campaign for change in our area, then we need your help. Last last year Newsquest confirmed it was planning to make three roles redundant at the Echo, while columnist Sharon Griffiths was also let go in February as part of cutbacks. Posting on Twitter, Echo senior reporter Charlotte Bowe wrote: “Six months on from the last time I tweeted about my talented colleagues being made redundant, I’m back today with nine more. Bishop Auckland MP Helen Goodman has also confirmed she will write to new Culture Secretary Jeremy Write about the planned cuts at the request of the Darlington branch of the National Union of Journalists. Well done Nick and Charlotte for taking a stand. Doesn’t it say it all for Newsquest when two young, talented journalists are the only ones left fighting for the industry and their paper? Let’s hope the company looks after them and realises what assets they and all young journalists are, before they completely disillusion them. Without people like that, the industry will die. Come on Newsquest – support your staff and invest in your papers. Nice sentiment but worthless. People have abandoned local papers. Do you honestly think pleas from staff will result in circulations rising by thousands to fund jobs? The public is not bothered about the stories journalists think are important and are happy with the free stuff on offer. Young journalists need to find an alternative career path which is no bad thing as those that remain will be slogging away for peanuts. like the initiative and wish them success , but sadly the public does not really care about the plight of papers or hacks. My JP weekly closed its office for first time for well over 100 years, all the staff left, the paper was cobbled together 20 miles away off patch, and no-one out there in the real world stirred. But I will be delighted if NQ respond positively.